Err who removed the Metropolitan Centre within a Node Category? after consuming a large part of my past two years, it’s awesome to now have the final plan with the fingerprints of over 18,000 Aucklanders. Yes indeed it is – the Auckland Plan 2050 (the first refresh of the original Auckland Plan (2012) is now online including all the maps. Gee has it been really two years since I was given the first notification of it, submitted on the draft, presented to the Planning Committee on various aspects, saw the final version, liked it and now it is fully online? Wow time flies when you have fun. Let’s take a look to the South and see what we get. What will Auckland look like in the future? The Development Strategy sets out how Auckland will grow and change over the next 30 years to become a place that Aucklanders love and are proud of, a place they want to stay in or return to, and a place that others want to visit, move to or invest in. 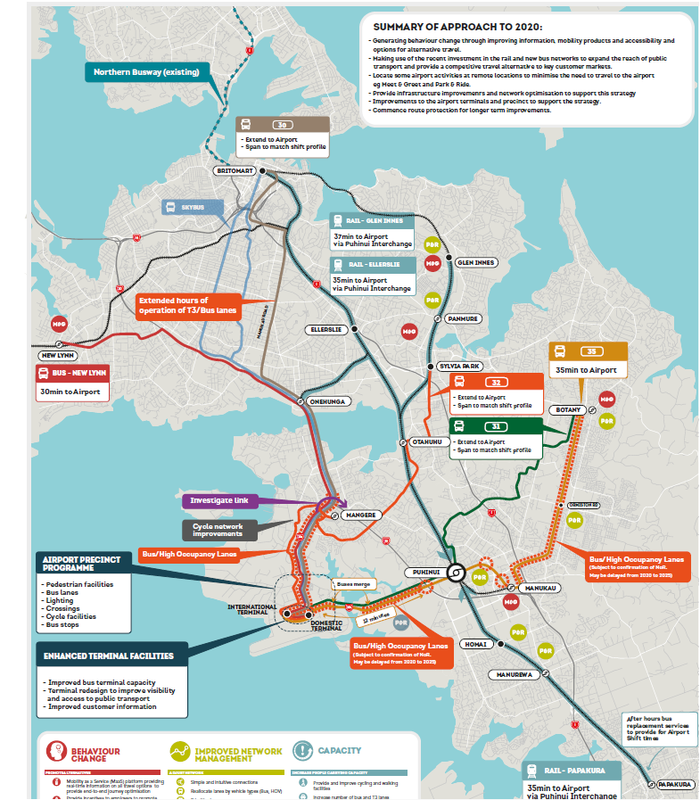 This is an update of the first Auckland Plan Development Strategy, which was released in 2012. The initial Development Strategy set the direction for a quality compact approach to growth. There have been a few important changes since 2012 which are reflected in this updated Development Strategy. One of the most important changes has been the release of the Auckland Unitary Plan in 2017, which sets out the planning rules for Auckland and creates adequate capacity for jobs and homes over the next 30 years. Another important change is around Aucklanders’ expectations of housing, transport and public spaces. We also live in a time of rapid technological advancement, which will have many impacts on Auckland’s future growth. Auckland is anticipated to grow significantly over the next 30 years. To make sure that we build on its strengths and hold on to the things that are dear to us during this growth, we need to plan for how and where Auckland will grow. Around 1.66 million people currently live in Auckland. Over the next 30 years this number could grow by another 720,000 people to reach 2.4 million. This means Auckland will need many more dwellings – possibly another 313,000, and room for extra jobs – possibly another 263,000. Growth on this scale is significant, and requires us to work together and ensure we have a clear understanding of where and when investment in planning and infrastructure will be made – this is what the Development Strategy provides. The National Policy Statement on Urban Development Capacity 2016 requires councils experiencing high growth to prepare a Future Development Strategy. This must demonstrate sufficient, feasible development capacity in the medium and long term. This Development Strategy serves as Auckland’s Future Development Strategy. From the arrival of the first Māori settlers to its recent evolution into a modern international city with a substantial rural sector, Auckland’s story has been one of constant growth and change. While initial settlement by both Māori and European tended to cluster around the waterfront, development soon spread further afield in response to population growth. By the early 1900s Auckland had become New Zealand’s largest city and suburban development had extended to the central isthmus and parts of the North Shore. However, it wasn’t until the arrival of the motor car, particularly after World War Two, that Auckland’s urban footprint really started to expand. The resulting pattern of lower density suburbs, enabled by the motorway system and widespread car ownership, is still the dominant feature of Auckland’s urban form to this day. The urban area now covers approximately 20 per cent of Auckland’s land mass. It is home to over 90 per cent of its residents, many of whom live along a narrow axis stretching from Ōrewa in the north to Drury in the south. Geography continues to shape and constrain Auckland’s development. Physical pinch points, particularly where the isthmus is at its narrowest, complicates development and the transport network. It also complicates the flow of goods and services, including to and from the port and airport, Auckland’s two international gateways. Supporting residential and business growth, while managing their impacts on the natural environment, will be one of the great challenges we face over the next 30 years. newly established communities in the future urban areas. There will also be a small amount of additional growth in rural areas outside of the urban footprint. Albany, Westgate and Manukau, including their catchments, are nodes which are critical to growth across the region. be interconnected by a range of efficient transport links. In addition, the satellite towns of Warkworth and Pukekohe act as rural nodes. will support significant business and residential growth. Manukau is a Node so what does this mean? Manukau is an anchor for southern Auckland. integrated rail and bus stations. The surrounding industrial area and proximity to Auckland Airport strengthen its role as a node. The Airport to Botany Rapid Transit line would further strengthen that connection between the Airport, Manukau City Centre, Botany and the wider area via Puhinui Station (that intersects the Southern and Eastern Lines). I will get to the Papakura Development Area (new to the Auckland Plan) in a moment. Just like the language around Rapid Transit is important (see: Rapid Transit Verse Bus Rapid Transit. NZTA Sets Tenders for Light Rail But Terminology Counts) the language around Metropolitan Centres within a Node is equally important on Urban Geography grounds as well (see: The Auckland Plan And THE NODES. Why Manukau, Albany and Westgate are Nodes and Takapuna is Not and #AucklandPlan2050 – The Return of the Super Metropolitan Centre with the Nodes). So please reinstated the Metropolitan Centre within a Node category please – thanks. Papakura is on the 11-30 year horizon in terms of development attention although it does not stop upgrades like electrification to Pukekohe, Mill Road getting safety upgrades and other programs like Safer Communities. So go check out the Auckland Plan and see what it has for your area today.